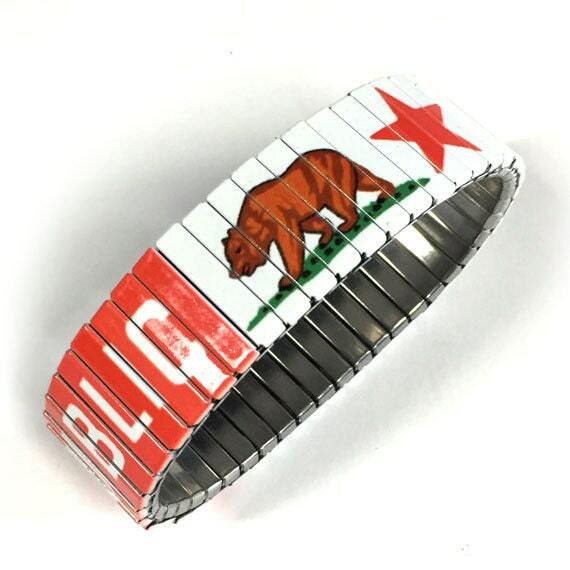 Stretch bracelet representing the California flag. 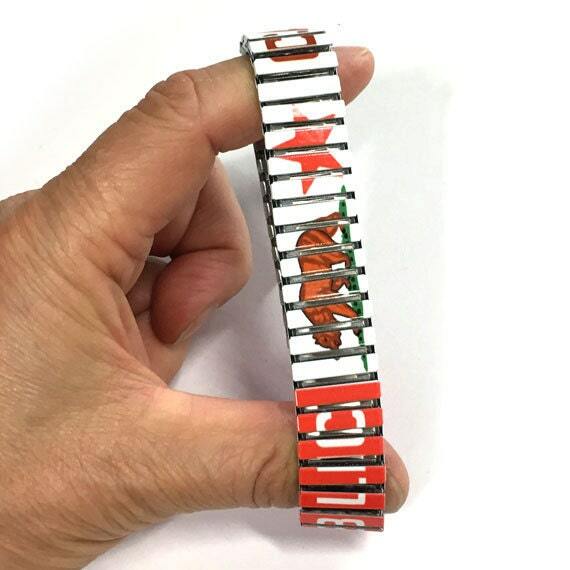 I create digital artwork and photo collage to make my bracelets and print each one on special paper, then using the sublimation method (heat transfer) I apply the art permanently onto each piece. The art is “baked” into each bracelet making it very durable. Each item is design, assemble and package by me. 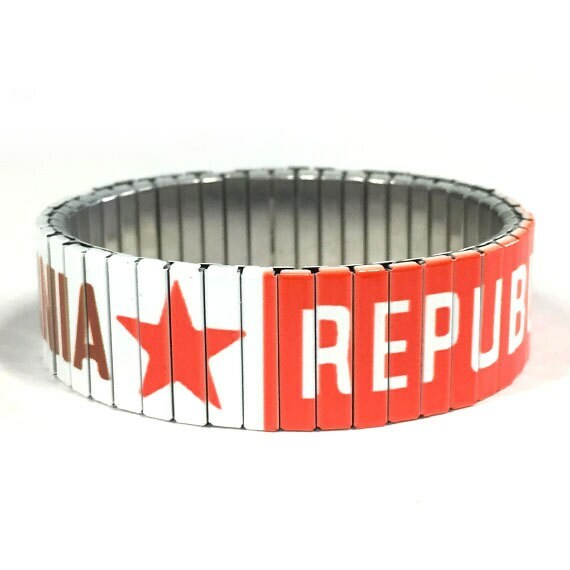 Wrist-Art is made of comfortable repurposed stainless steel watch band. Since it is made of stainless steel it will never rust and is generally considered hypoallergenic for most people. 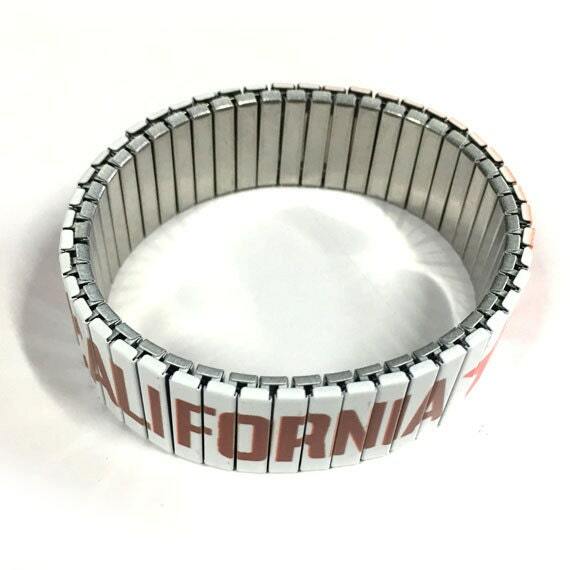 The size of the bracelet is 2.5" diameter or 7.5" circumference x .75” width but can be made to fit. Simply add the circumference of your wrist when you order. If you don’t see your size in the preset list simply add the size of your wrist in the “Note” section when you place your order. 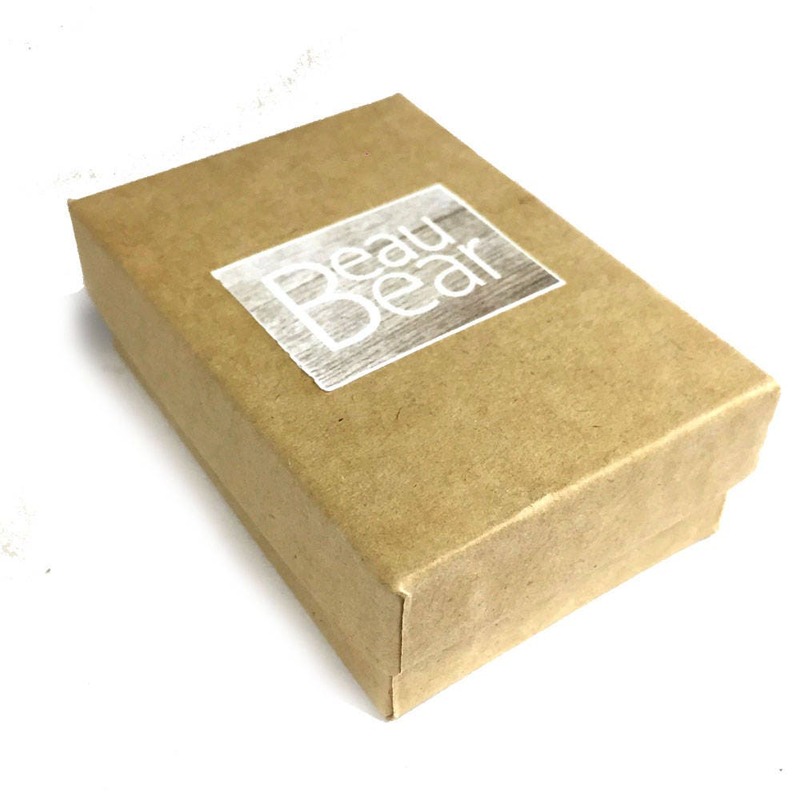 Beau-Bear believe in giving gifts as unique and special as those receiving them. Wrist-Art is the perfect gift for anyone on your list, your best friend, for the 11th year anniversary (yes it’s steel) or simply for yourself! I hope the bracelets I make will bring joy to those who receive them as well. 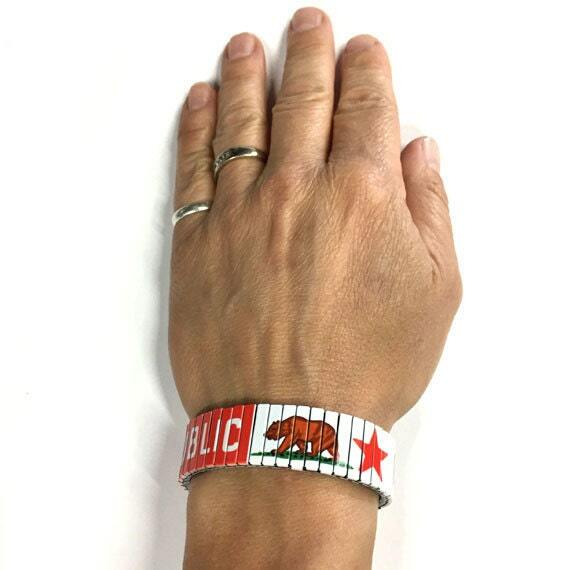 Make a great accessory to any outfit and are perfect for men, women and teens of all ages. Each Wrist-Art is individually wrap in tissue paper and comes in a small cardboard box. I usually ship very quickly, within the next day of ordering.